Book release party success! 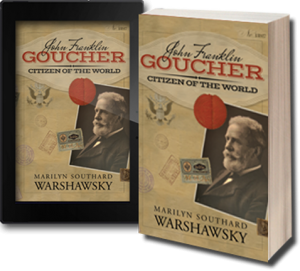 The release party for Marilyn Warshawsky’s biography, John Franklin Goucher: Citizen of the World, was on Saturday, April 2nd and the Lovely Lane Church in Baltimore, Maryland. As it was designed and built by Dr. Goucher himself in the 1880’s, it was a fitting location for the event. 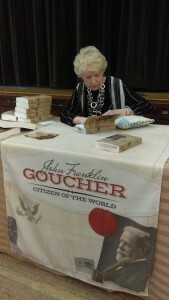 On hand to receive an autographed book were family, friends, staff of Goucher College, Methodist ministers from member Korean churches and even a descendent of Goucher himself. Ms. Warshawsky’s book is a culmination of ten years of research and work. We are pleased at KSA to have her work available for audiences worldwide. Her website is available in English and Korean. Next Post Grace Goodwin signs with KSA for a Bridgewater Bride World book!